Being a good rock climber is about employing proper technique and mastering it so it becomes second nature. Over time, the technique will take you further than a good grip and a strong back. But, the majority of climbers are too focused on getting stronger at the expense of learning great techniques. In terms of bouldering Montreal, once you know how to move your body, you can climb 5.12a. This is something you must do before focusing on trying to be strong. Do not jump on the toughest route or boulder problem you can do. Rather, concentrate on making perfect ascents of easier problems and routes. The back-step is a useful manoeuvre in climbing where you stand on your right foot’s outside edge and rotate your lower body to have your right hip against the wall. The majority of people climb straight on with feet and hands set like they are climbing a ladder. But, good climbers are rarely squared up. Also, you need to concentrate on getting into back-steps quicker. Rather than messing around with matching feet, it is usually better to cross your right leg over and get into the back-step immediately. Typically, people who are new to climbing wear loose-fitting comfortable shoes. However, regardless of what grade you climb, you have to get a high-end pair of shoes that are snug. These shoes will provide you with more precision and let you use all parts of your foot. When it comes to climbing, there is really no perfect way to climb a route or problem. 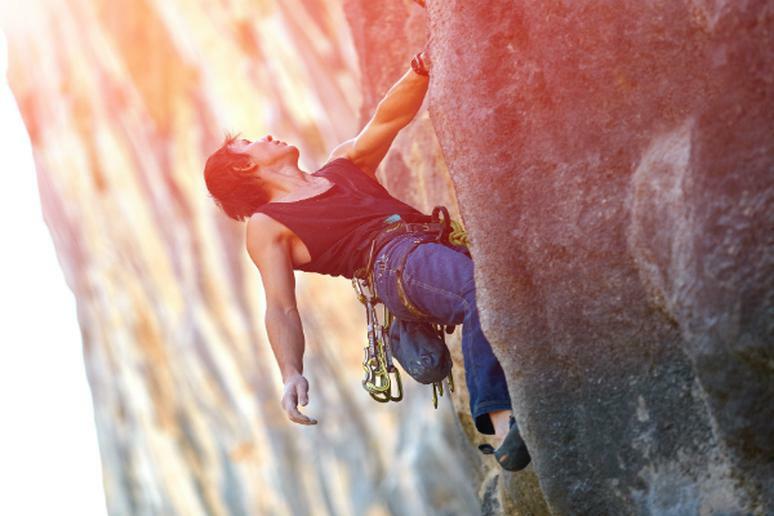 For a number of climbers, the perfect solution to a problem is to climb fast and dramatically. But, for others, it might be better to climb at a slower pace and with greater control. As a climber, you can always develop your own strategy. Focus on climbing one problem 2-3 different ways to see what works for you.